Kuwait (officially State of Kuwait) Islamic constitutional monarchy in the Middle East, located at the northwestern tip of the Arabian Gulf. The country is bordered on the north and west by Iraq, on the south and west by Saudi Arabia, and on the east by the Gulf. The capital is Kuwait city. 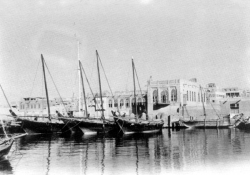 For many years Kuwait was a small emirate whose economy centered on sea trade and especially pearl exports. The discovery of oil in the 20th century transformed all aspects of Kuwaiti society, and today the country has one of the highest per capita incomes in the world. Kuwait is one of the world’s smallest countries, occupying 17,818 km2. The greatest distance from north to south is 200 km and from east to west 170 km. 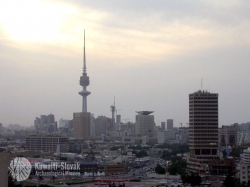 Kuwait lies on a gently sloping plain rising westward from the Gulf and reaching an elevation of 290 m at Ash-Shaqaya, the country's highest point, located near the extreme western border between Iraq and Saudi Arabia. 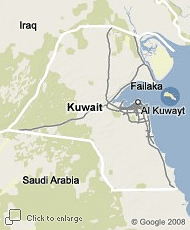 Kuwait Bay extends 48 km inland from the Gulf. Az-Zawr Escarpment, rising to 145 m, extends along the northwestern shore of Kuwait Bay; a natural harbour and Kuwait, the capital city, occupy its southern shore. Except for Al-Jahrah Oasis, at the western end of Kuwait Bay, and a few fertile patches in the southeastern and coastal areas, the country is largely desert. Kuwait also includes 10 offshore islands, the largest of which is Bubiyan. The only island that used to have significant population is Failaka before the invasion of Iraq to Kuwait (1990 – 1991). Other islands belonging to the State of Kuwait are Warbah, Miskan (also Mis´chan, Meskan), Umm Al-Namil, Al-Akkaz (also called Shuwaikh Island; nowadays fully joined with mainland due to industrial activities), Awhah, Kubbar, Qaruh and Umm Al-Maradim. Kuwait has no lakes and rivers and few sources of fresh water. Drinking water is available only from underground aquifers and through desalination of (removal of salt from) seawater. The climate is extremely hot in the summer, with temperatures routinely surpassing 45° C. The average temperature in January, the coldest month, is 13.5° C. Annual rainfall is typically less than 127 mm per year, and almost all of it falls in the cooler winter. Kuwait’s only significant natural resource is petroleum, the country’s main economic product. The dry climate and barren soil have historically made farming nearly impossible (with exception of Failaka Island and several other places at the mainland, e.g. Al-Jahra, Al-Fintass), but in recent years desalination has allowed limited farming. Without the economic resources available from oil, the Kuwaiti environment would be too harsh to support a substantial population. In 1995 Kuwait had an estimated population of 1,817,397. The average population density at the time was 102 persons per km2. 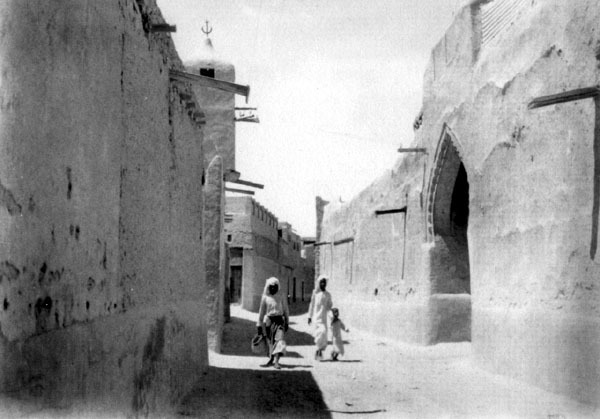 Slightly fewer than 40 percent of the people are native Kuwaitis, while the remainder of the population are foreigners. The capital and original settlement, Kuwait city, is small in both area and population. Most of the country’s people live in this city’s suburbs and a few outlying towns. Kuwait’s official language is Arabic, which is spoken by all citizens. 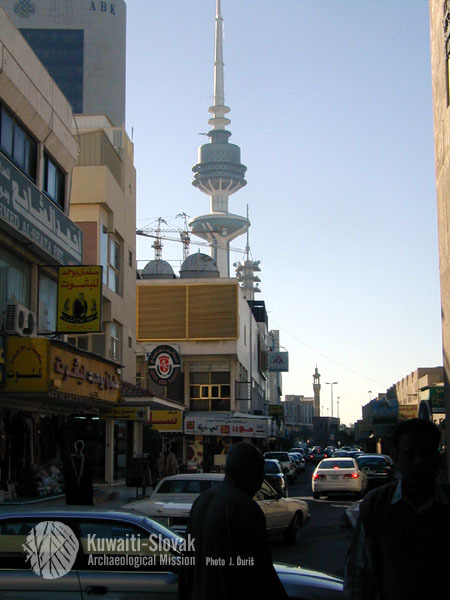 Both Arabic and English are taught in Kuwaiti schools, and English is widely used among Kuwait’s many foreign communities. Kuwait is governed by its 1962 constitution, which established a National Assembly. The country is ruled by an emir (prince) from Al-Sabah family. Since January 2006 new emir Sabah Al-Ahmad Al-Sabah is the new ruler of Kuwait. Kuwait relies heavily on international alliances. Following independence in 1961, Kuwait joined the United Nations and the Arab League. In early 1980s Kuwait joined other small, oil-rich states in the region to form the Gulf Cooperation Council (GCC). Al-Hijji, Y. Y. 2001: Old Kuwait. Centre for Research and Studies on Kuwait, Kuwait. 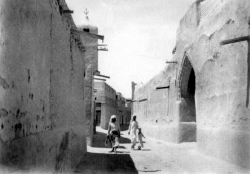 Al-Yamani, F. Y. – Bishop, J. – Ramahdan, E. – Al-Husaini, M. – Al-Ghadban, A. N. 2004: Oceanographic Atlas of Kuwait’s Waters. Kuwait. Brown, N. J. 1993-1997: Kuwait. Microsoft® Encarta® Encyclopaedia. Kuwait / Encyclopaedia Britannica 1997.